Thanks to its innovative and open-minded approach, both Deeper’s impact is being felt far beyond the world of angling. The company is involved in a range of social and educational activities. And its products have been used in many unusual ways, including supporting search and rescue operations and even looking for missing tanks. Having fostered close connections with its users and customers, Deeper has heard of many unusual ways its smart sonars have been used. Take the case of the Codroy Valley fire department in Newfoundland, Canada. As part of a missing person investigation, local firefighters were searching a remote lake, which was only accessible by foot, quadbike or helicopter. One enterprising fire fighter, Craig Stevens, who had fished the lake many times, brought along his Deeper smart sonar. The team scanned the entire area, enabling them to identify potential sites to investigate and also to plan a safe route for the dive team when they arrived. Thanks to this detailed information, the dive only took 25 minutes, when it could potentially have taken many hours or even days. “The Royal Canadian Mounted Police, the dive team and the search and rescue team all thanked me,” says Mr Stevens. 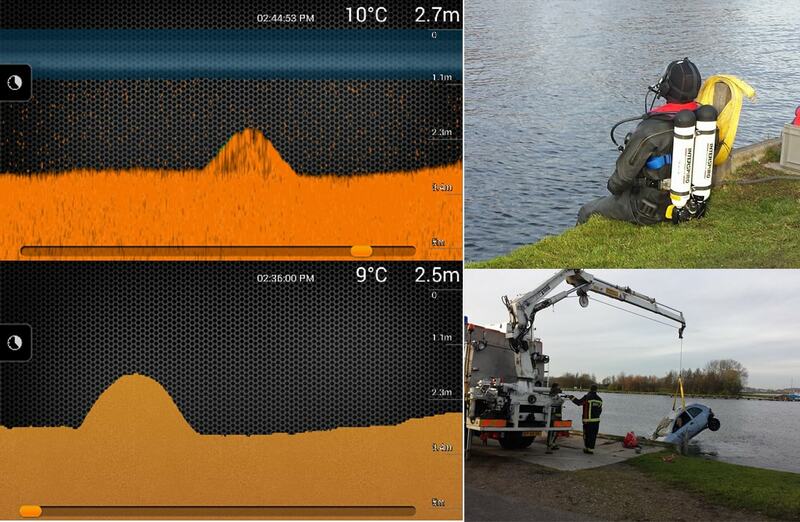 “But I told them to also thank the Deeper; it made the search much shorter.” In a similar case, a Dutch search and rescue team ‘fished’ for a sunken car using their Deeper smart sonar. Once again, the data the device provided significantly reduced the dive time. In Lithuania, the Deeper was used to investigate an altogether more unusual case; a ‘missing’ World War II tank. This August, police received reports that diving enthusiasts had discovered a tank at the bottom of a lake near the capital Vilnius. But the story was complicated. The divers claimed the tank was about 35 metres deep, while other locals suggested the lake was 60 metres deep in some places. What was down there? The team at Deeper were curious to find out more, so they set out with a boat and a Deeper smart sonar to discover the truth for themselves. The data from their Deeper revealed that in fact the lake was only 17 metres deep, and most importantly, it showed no sign of a tank (but plenty of pike and perch). Had they missed something? Two days later a search and rescue team sent professional divers to investigate, and they confirmed what the Deeper had found; there was no tank. These cases all demonstrate that the Deeper smart sonar can open up a whole new world of fascinating data, even for non-fishers. And part of Deeper’s mission is to get more people, especially young people, discovering the outdoors. They do this by using smart tech devices to give a new angle to traditional outdoor activities. And their products have great educational value too, creating new ways to explore the natural world. This mission also fits with the company’s commitment to encouraging innovation. As a partner of the Lithuanian Business Support Agency, Deeper has collaborated extensively with universities, research institutes and open access research hubs to boost R&D and innovation in Lithuania.